Studies in balance the effects of noise and performance have enabled us to reach a good specification. Improving the sound by reducing the unpleasant droning sound when "accelerator-off" by the use of a resonance pipe (resonator). Also introducing a cool metallic sound particularly when "acceleration-on" which resembles that of a jet engine at takeoff. Twin silencers used to make a more intoxicating sound. 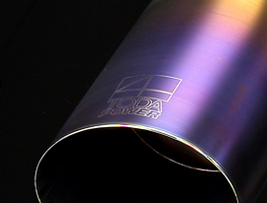 Titanium end pipes designed with "melted edge" to improve robustness, along with the blue tint to enhance a sporty look. 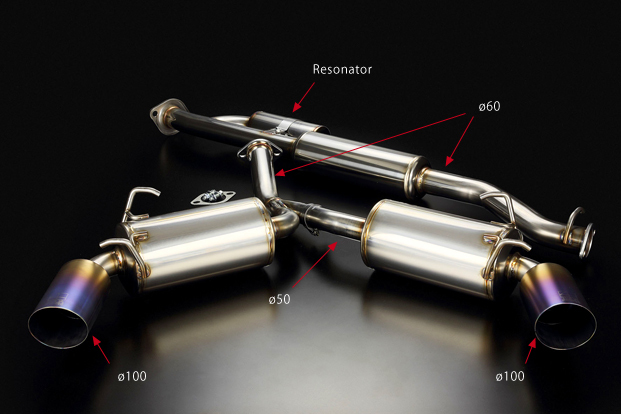 *Single silencer model is also available, which is designed to give low & gentler sound than the twin silencer.